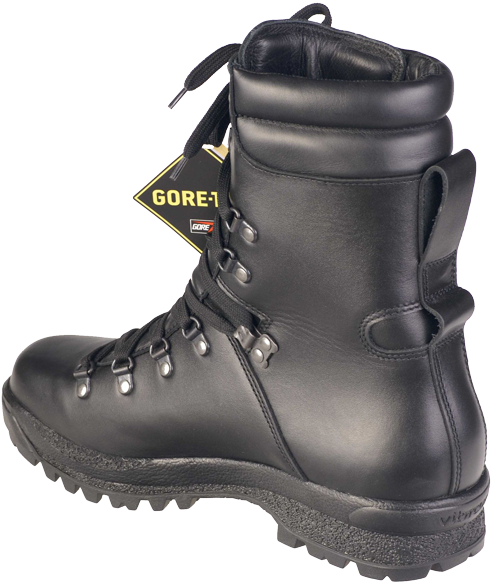 Prabos vz2000 ECWCS are the Model 2000 Winter Boots, which, according to the manufacturer's description, are intended for "use in extreme conditions" and popularly called the "Canada" ("Kanady"). Judging from the user's feedbacks, this is "the best in quality and comfort boots that have ever been supplied to the Czech army". The top of "Prabos" vz. 2000 is made of hydrophobically impregnated cowhide, combining softness and strength. The removable inner lining is made of new materials ("Cambrelle" fabric + "Gore-Tex" membrane fabric). This lining dries very quickly and provides more favorable microclimate and additional comfort compared to the previous models. 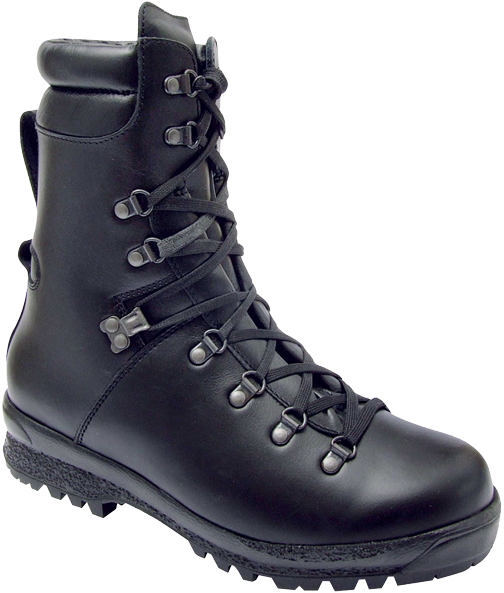 The distinguishing feature of this type of Czech design boots is the rear side, featuring the loop for laces and the damping tab, intended to provide the flexibility of movement while walking. This damping insert is covered with protruding unstitched "loop" of leather, serving as a mechanical protection for the damping tab. The boot design is characterized with a minimum of seams, as well as many new boots models of other armies of the world, and especially of the German Bundeswehr. On the upper part of the boots top there is a double damping "cuff" for soft grip and protection of the top from dust, small pebbles and moisture. 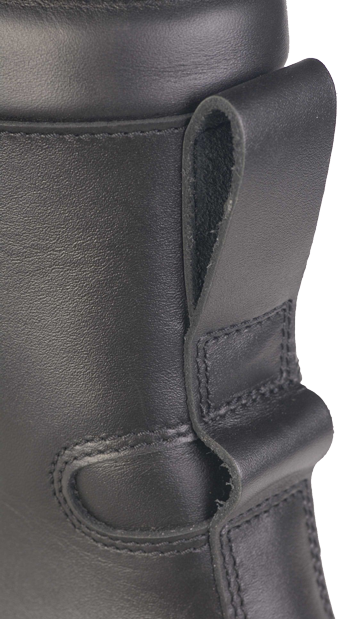 A fairly large leather loop is provided on the rear side of the boots for holding the excessive length of laces, wrapped around the boot's top. The highly stitched boot's tongue is dense and feature the damping tab. The lacing system consists of four pairs of D-rings in the lower part, a pair of hook-clamps for fixing the laces in the middle, and four pairs of D-rings in the upper part of lacing. The upper D-rings are located closer to each other than the lower D-rings. 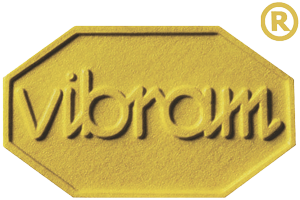 The out-sole tread pattern is "Vibram® Fuora", just the same as on the best trekking boots, such as, for example, "HANWAG", or on the US Army contract boots by "Belleville" or "Matterhorn".